Home / brand new / música / Nonsens / The Palliative / Nonsens Debut a New Vocal-Bass Sound with "Wildifre"
Nonsens Debut a New Vocal-Bass Sound with "Wildifre"
Nonsens have made a massive return to the music scene with the release of their latest single Wildfire, which debuts a new sonic direction for the Danish producers on :labelmade: records and disco:wax. Loving the way it starts with those silky basslines that hang subtly behind vocals from The Palliative; the track slowly builds heat up until the drop, when effervescent melodies and futuresque synths take the spotlight, complemented by the singer's emotive high notes. Stream it below! Nonsens breaks new ground with this type of vocal bass-electronica, drawing upon their strengths as veritable producers of heavier music and creating a sound that is subtler and yet more sophisticated and poignant than anything they've ever done before. 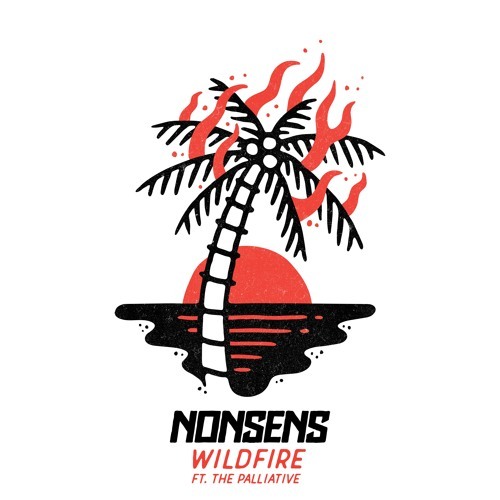 Wildfire has been a long time coming - Nonsens started the track as a demo nearly two years ago, but it took many revisits to perfect the sound. The release of 'Wildfire' marks a new era for us, where our music embraces a larger audience with the vocals and our signature sounds. The mix of our underground background and our work with many different artists in different genres has played an important role in creating 'Wildfire'.